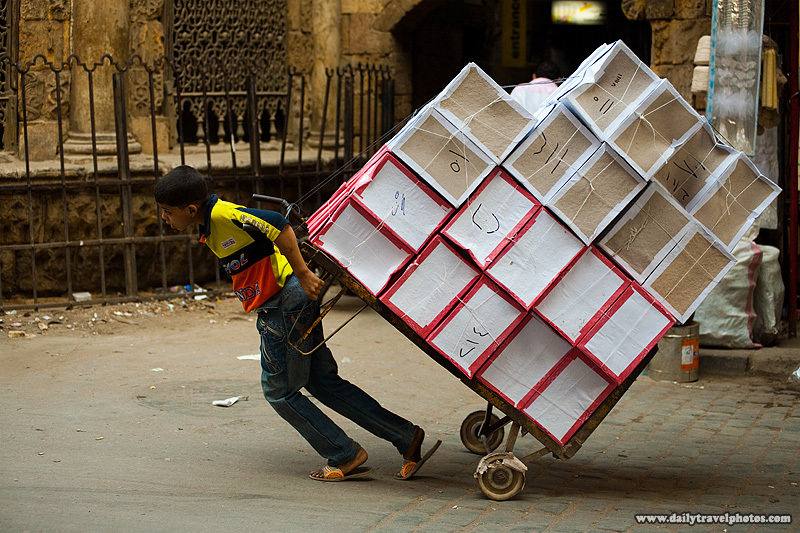 A young Egyptian boy struggles to pull a dolly full of merchandise in Islamic Cairo. I can only hope he's helping out his father's business as an after-school job. Wishful thinking, I know, particularly in a part of the world where child labor is shamefully commonplace.